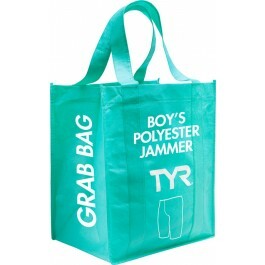 This boys' grab bag is made up of a randomly selected jammer swimsuit from one of our prior seasonal styles. Suits are available in a nylon/LYCRA blend or polyester and can be either a solid or print. Great suits. These are all that my boys will practice in. Very durable. The grab bag suit was a great design. My sons grab bag jammer arrived quickly and received a very fun color/pattern. It fits perfectly and great quality item! The two jammers I received were cute and are holding up well. My son is 9 and I got the size 24 and the fit him well. They look great and fit well. They are easy to put on for swim class. My son really likes them. Q: How does grab bag work? Have never purchased this way. A: Grab Bag swimsuits are made up of styles from previous seasons. You pick the size and we randomly pick the print. 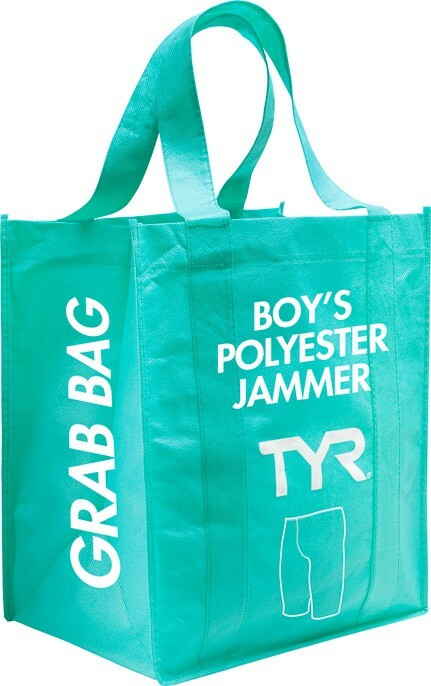 You will receive one grab bag swimsuit per selection. Q: How many suits are in the bag? 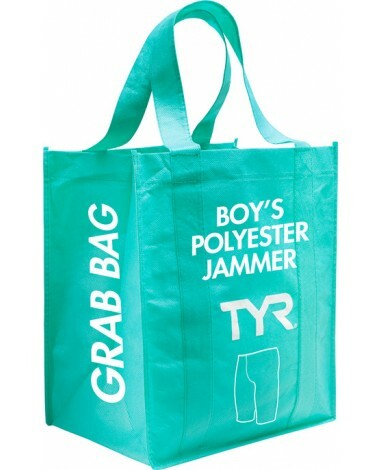 A: You will receive one grab bag swimsuit per selection.